Gilpin Spice has just been awarded two AA rosettes. 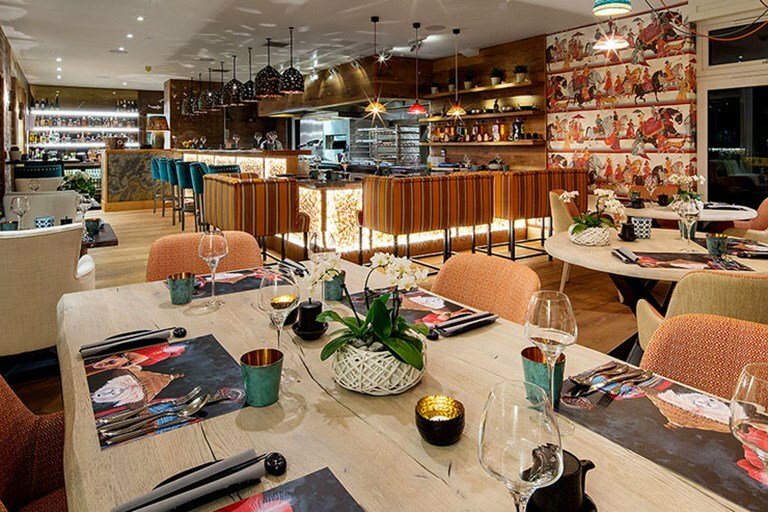 The restaurant opened in October 2016 at Gilpin Hotel and Lake House above Lake Windermere and features dishes from along the spice trail spanning the Indian sub-continent, Malaysia, Thailand, Indonesia, the Philippines, Japan and China. It's open for lunch and dinner, seven days a week. 3 courses and canapes £35 per person. Cheese is an additional course at £12. Coffee and petit fours £5 per person. Full Afternoon Tea: A selection of finger sandwiches, cakes and fruit scones, £22.50 per person, £32 served with a glass of Prosecco. (Available Monday - Saturday 3.30pm - 5.00pm, Sundays 4pm - 5.30pm). Champagne Afternoon Tea: Full afternoon tea served with a glass of Champagne £38.50. (Available Monday to Saturday 3.30pm - 5.00pm, Sundays 4pm - 5.30pm). Magic Moments at Gilpin – perfect for a Romantic Celebration: Where better than the beautiful Lake District to packages. indulge in a spot of luxurious romance? We’ve created some very special packages for those special celebrations. There are no weddings, conferences or children under seven at Gilpin, just the chance to escape the world for that special birthday, anniversary, honeymoon, minimoon, baby moon or even engagement. We’ve put together some very special packages with particularly good deals in the winter, this is the ultimate in luxury.